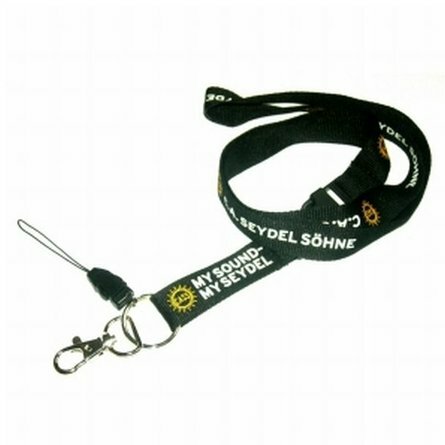 Seydel Big Six available in the most popular keys of G, A, Bb, C, D and F, in six colours of black, lava, sky, olive, yellow and white. 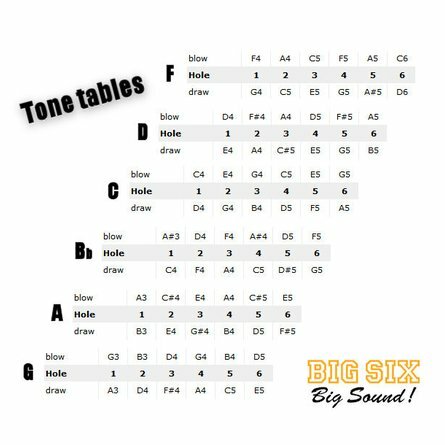 The Seydel Big Six now available in the most popular keys of G, A, Bb, C, D and F, in six cool colours of black, lava, sky, olive, yellow and white. 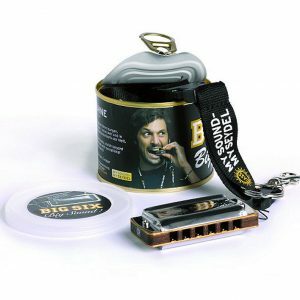 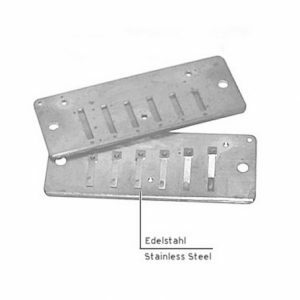 This popular six hole harmonica is small and compact, has Seydel’s pioneering, stainless steel reeds, a plastic polymer comb, tough stainless cover plates and a neck strap (lanyard). 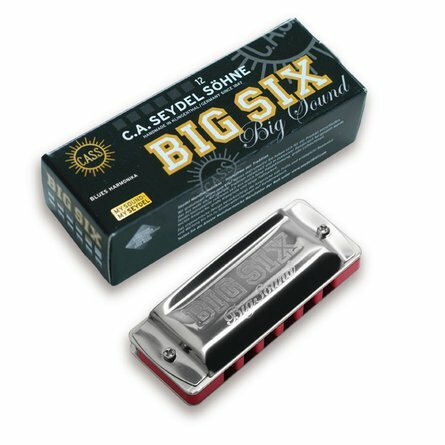 For a small harmonica, the Big Six punches out a strong and clear sound. 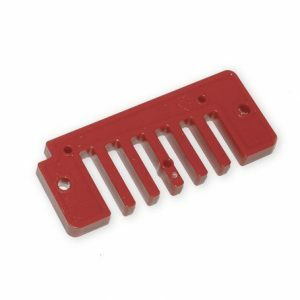 If you require a different key/colour combination please contact us.